Treatment with NRT during a brief, 4-week, follow-up period does not appear to put patients at risk of cardiovascular disease. However, at 52 weeks, there was an increase in cardiovascular events for patients prescribed NRT, compared with those receiving smoking cessation advice only. Singapore, 27th April, 2017. Tobacco smoking is now the second leading risk factor for heart disease worldwide,1 killing nearly six million people annually2. In the United Kingdom (UK) alone, 80,000 deaths in persons aged over 35 have been linked to smoking, accounting for 17% of deaths in 20143. There is evidence to support nicotine replacement therapy (NRT) in stopping smoking, and many guidelines recommend it as a first-line treatment for people seeking medical assistance to quit4-6. In 2011, NRT was the most common aid to quit smoking prescribed in England7. The use of NRT helped 500,000 smokers quit in 2015 – the highest number on record8. Who are the people who seek NRT to quit smoking? It is well established that people who are more nicotine-dependent are those who seek NRT help9. Should we be treating a nicotine-dependent population with more nicotine? We are aware of the harm caused by tobacco smoke, but the contribution of nicotine to cardiovascular disease is less clear. With increasing numbers of people turning to NRT to quit smoking, questions have arisen regarding the safety of NRT. Nicotine has been shown to cause an overall increase in heart rate and blood pressure10. However, the Royal College of Physicians 2016 report states that the health hazard from long-term use of NRT such as e-cigarettes, is unlikely to exceed 5% of the harm from tobacco smoking. Current evidence on the effect of NRT on cardiovascular events, such as heart attacks, is largely based on results from short-term use in clinical trials. There is less evidence from observational studies, which tend to include a broader range of participants and contribute valuable evidence about the safety of NRT in real life. This was the aim of the study carried out by the Observational and Pragmatic Research Institute (OPRI), led by Professor David Price, which was published on 27th April 2017 in Clinical Epidemiology. Along with collaborators from the Respiratory Effectiveness Group (REG), researchers from OPRI investigated whether patients given NRT were at a higher risk of cardiovascular disease (CVD) compared to patients receiving smoking cessation advice without NRT. The study obtained data from the world’s largest validated computerised database of primary care records, the Clinical Practice Research Datalink (CPRD)11,12, allowing access to details of smoking cessation advice given by general practitioners, as well as other clinical information. All information was anonymised so that the patients’ identities were unknown. Researchers noticed an increase in the risk of cardiovascular events for patients prescribed NRT for 52 weeks, compared with those receiving smoking cessation advice only. This study adds valuable real-world findings to the existing pool of evidence on the safety of NRT in terms of cardiovascular risk. The increase in cardiovascular events seen in high-risk patients on long-term NRT highlights the need for further investigation into the safety of the long-term use of this treatment. If you would like to schedule an interview with Professor David Price, please contact us. Horton R. GBD 2010: understanding disease, injury, and risk. Lancet. 2012;380(9859):2053-2054. Organization WH. WHO report on the global tobacco epidemic: enforcing bans on tobacco advertising, promotion and sponsorship. Geneva, Switzerland2013. Centre HSCI. Statistics on Smoking, England 2016. 2016. Stead LF, Perera R, Bullen C, et al. 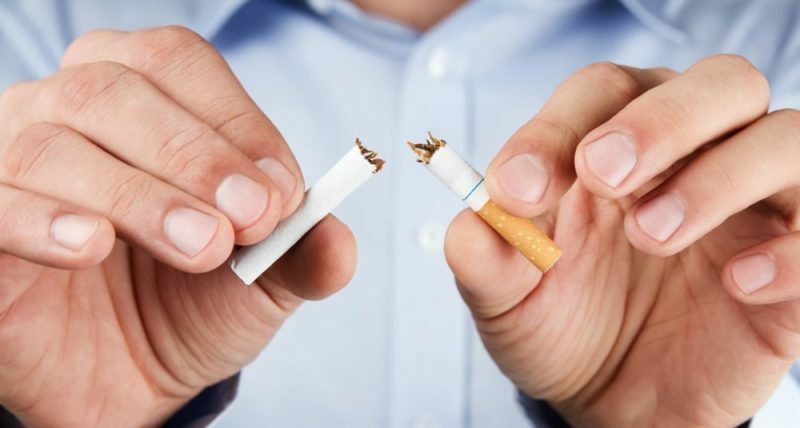 Nicotine replacement therapy for smoking cessation. Cochrane Database Syst Rev. 2012;11:CD000146. West R, McNeill A, Raw M. Smoking cessation guidelines for health professionals: an update. Health Education Authority. Thorax. 2000;55(12):987-999. Woolacott NF, Jones L, Forbes CA, et al. The clinical effectiveness and cost-effectiveness of bupropion and nicotine replacement therapy for smoking cessation: a systematic review and economic evaluation. Health Technol Assess. 2002;6(16):1-245. Langley TE, Huang Y, McNeill A, Coleman T, Szatkowski L, Lewis S. Prescribing of smoking cessation medication in England since the introduction of varenicline. Addiction. 2011;106(7):1319-1324. England PH. Quitting smoking sweeps the nation as Stoptober returns. 2016; https://www.gov.uk/government/news/quitting-smoking-sweeps-the-nation-as-stoptober-returns. Accessed 22 March, 2017. Fagerstrom KO, Kunze M, Schoberberger R, et al. Nicotine dependence versus smoking prevalence: comparisons among countries and categories of smokers. Tob Control. 1996;5(1):52-56. NIH NH, Lung, and Blood Institute. How Does Smoking Affect the Heart and Blood Vessels? 2016; https://www.nhlbi.nih.gov/health/health-topics/topics/smo. Accessed 22 March, 2017. Williams T, van Staa T, Puri S, Eaton S. Recent advances in the utility and use of the General Practice Research Database as an example of a UK Primary Care Data resource. Ther Adv Drug Saf. 2012;3(2):89-99.